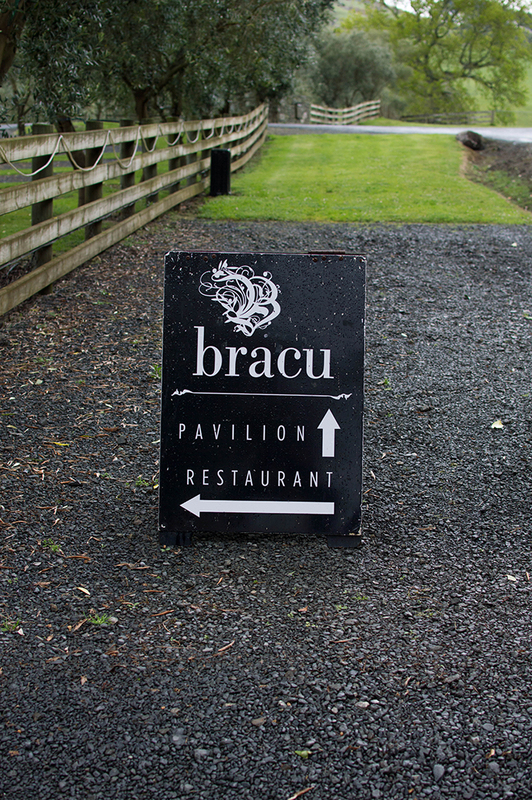 The Simunovich Olive Estate is a forty minute drive from Auckland and is home to a beautiful country restaurant called Bracu. 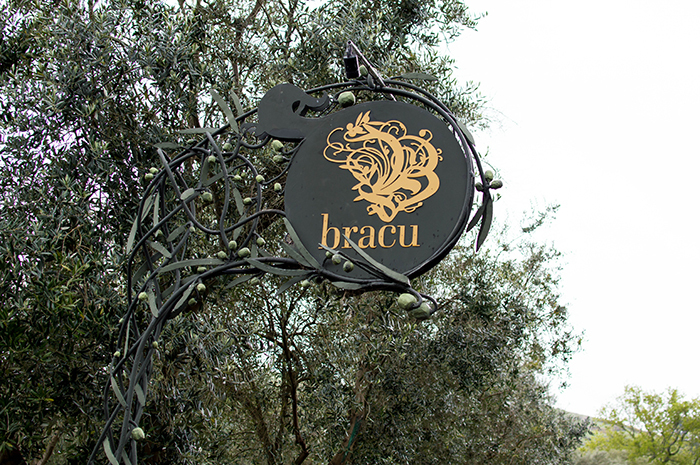 Recently, I was lucky to be invited with five other food bloggers to taste Bracu's new Spring menu. Set for a 2pm arrival, our group of food bloggers met up in the outdoor seating area before heading into the restaurant. Though the weather on the day was slightly unpredictable, we caught glimpses of sunshine throughout the day. Imagine dining here in the summer... It would be breathtaking. We were directed to seats in a covered area outside, where we were able to enjoy natural lighting and the beauty of the estate. The head chef Mikey Newlands came out to introduce himself before the showcase of dishes were brought out. He explained every dish as they were brought out, and from the way he spoke about his dishes, you could tell just how passionate he is about his food and the amount of effort he puts into all of his dishes. It was a delight to be able to ask a chef anything we wanted to, and to find out interesting details about each dish. 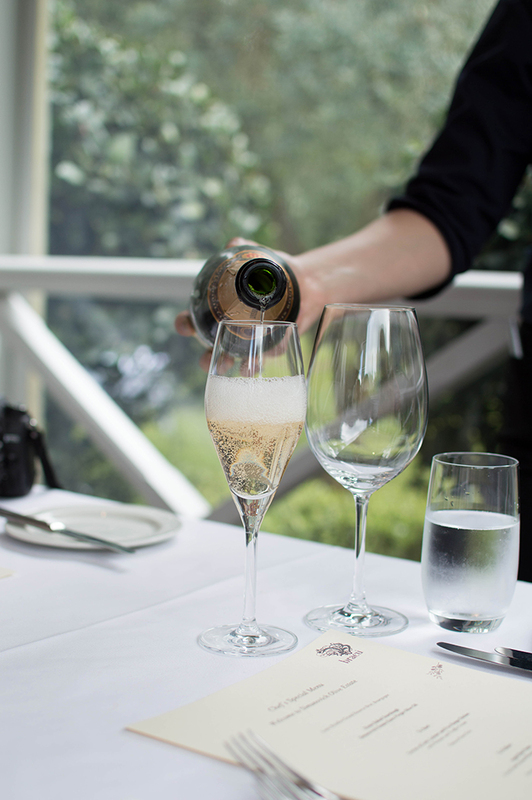 We started off with a glass of bubbles (Louis Bouillot Grand Reserve Brut) from Bourgogne. Mmmm. This came with home baked sourdough, green olives, hand churned butter and extra virgin olive oil from the Simunovich Estate itself. The sourdough was beer and bacon flavoured (yum?!) and was absolutely divine. 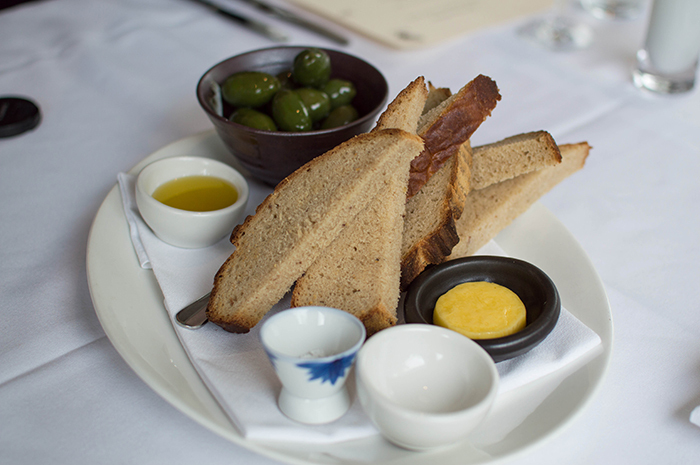 I'm not usually an olive fan, but these olives were warmed up and they were pretty good! 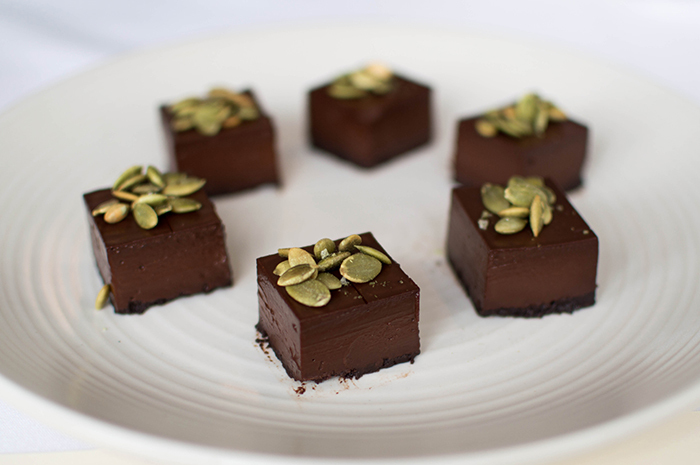 There were only compliments going around the table, so olive lovers you are in for a treat! 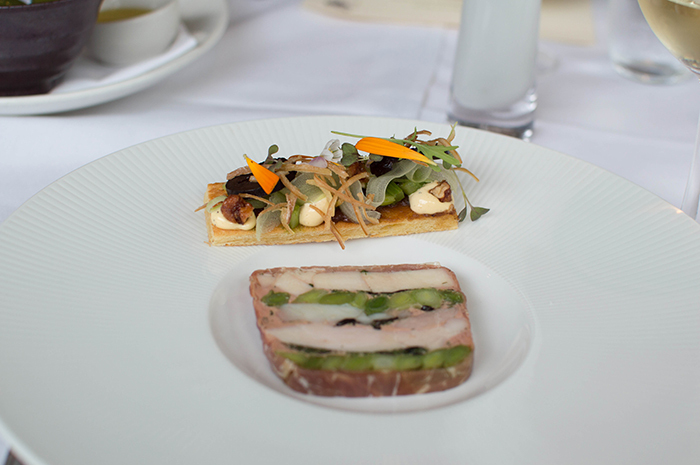 Our first course was a delicious terrine of leek, lobster and free range chicken. It was accompanied by a brioche soldier with pickled walnuts and truffle cream. Our wine pairing for this course was the Opawa Pinot Gris. Having never heard of pickled walnuts, Mikey explained that it was a six month process and the result was a black and thinly sliced walnut packed with a slight tanginess. 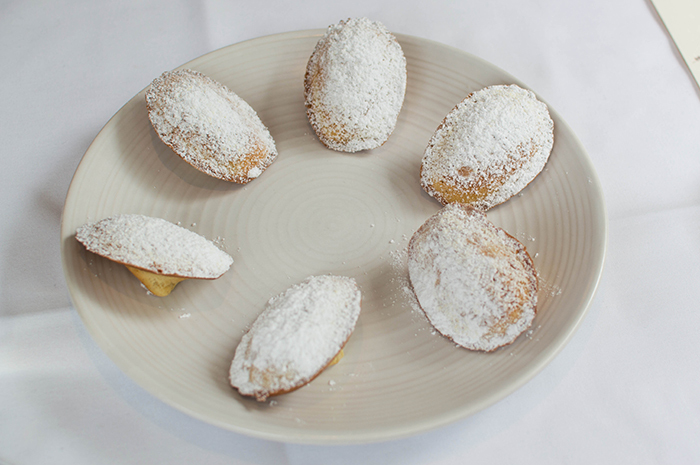 The flavours in this course were light and complemented one another perfectly. The brioche soldier had many different textures and it was such a pleasure to eat! 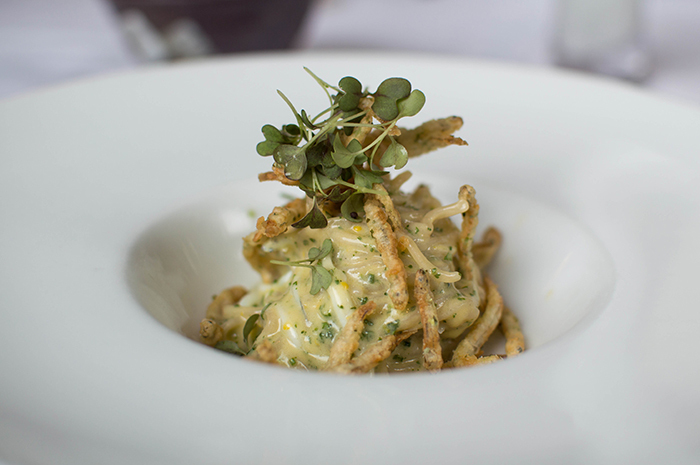 Our second course was an angel hair pasta with crisp South Island whitebait and Meyer lemon curd. 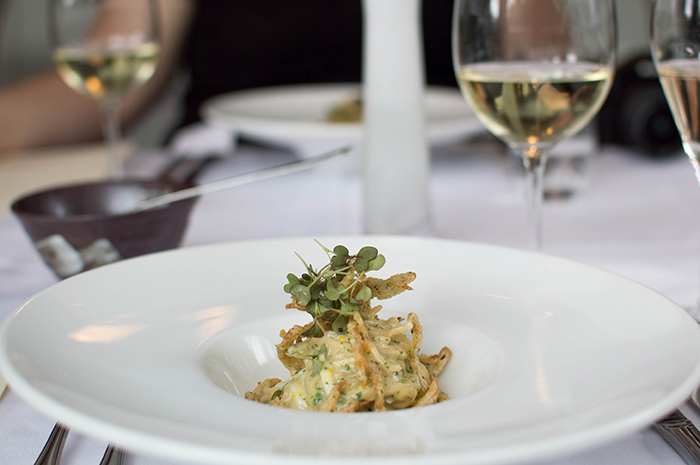 In comparison to the first course, the whitebait pasta was packed full of strong flavours. I loved the crispy white bait and preferred them over the ones in the dish that weren't. This was paired with a Greywacke Wild Sauvignon Blanc which had light citrus, peachy flavours, and a hint of saffron. 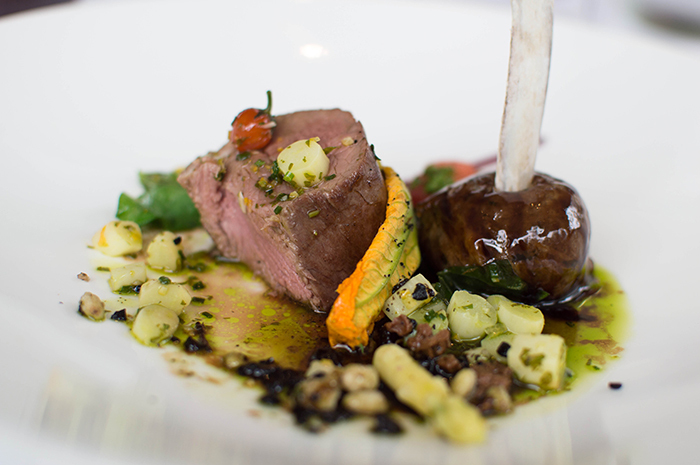 Our main course was a loin and rib of lamb, accompanied with white asparagus, smoked tomato and gremolata. This dish was my absolute favourite of the day. There were so many components to this dish, and Mikey explained every single part of it. The lamb was so tender and delicious! The white asparagus, or also called 'albino asparagus' goes through a long process of growing with no sunlight. I also had no idea what gremolata was, so Mikey explained to us that it was a combination of lemon zest, parsley and garlic. The tomato was also smoked and the end result was divine. 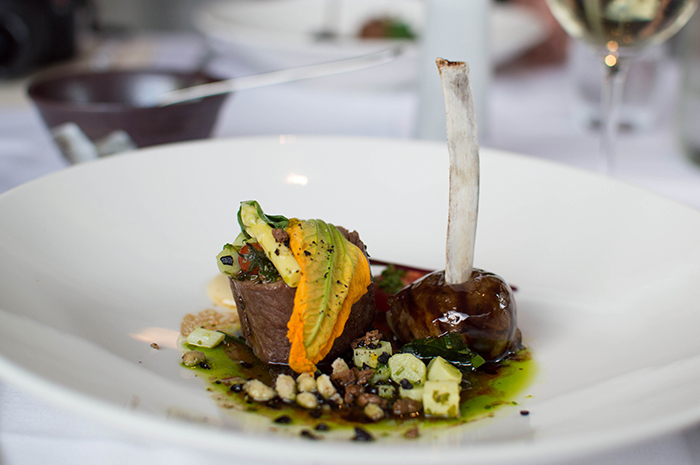 The rib of lamb was braised, mixed with balsamic and herbs and made into a 'lollipop'. The lamb lollipop had so much flavour, and I tried to savour every mouthful. Every single person also had a tiny tomato in their dish. What a cute little surprise! The amount of effort that went into this dish is crazy! Mikey talked about cleaning a separate lamb bone for the lollipop, as well as the braising of the lamb rib, and the smoking of the tomato. Absolutely amazing. 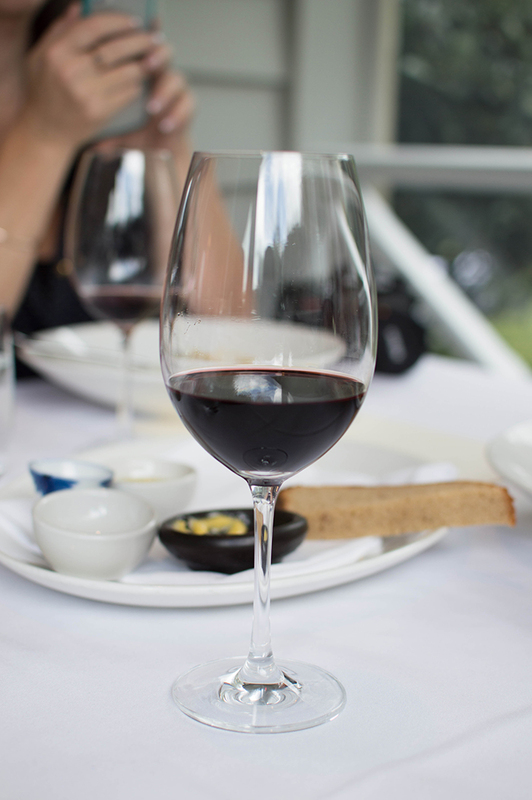 The main course was paired with a Awhitu Syrah wine — a Shiraz with hints of pepper. 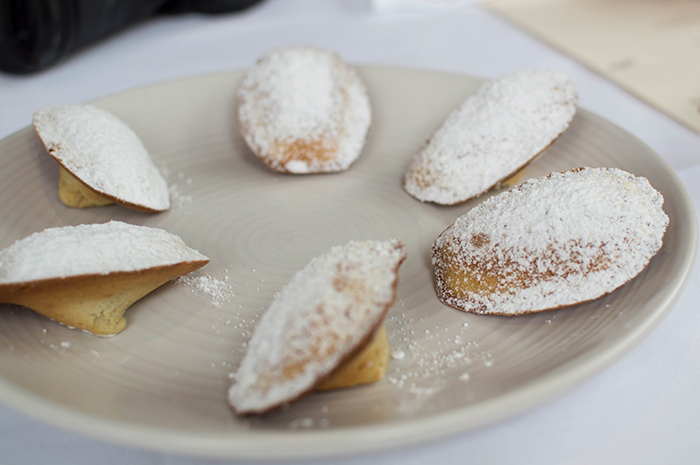 We finished off our meals with a few sweets: Guanaja chocolate tarts topped with pumpkin seeds and lemon madeleines. 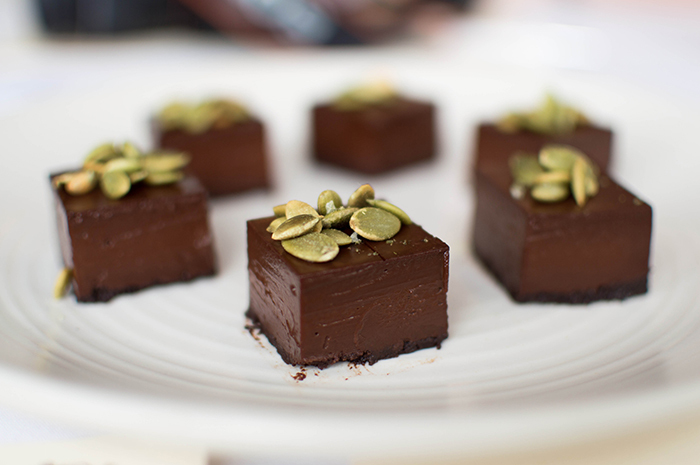 The chocolate was dark and rich, while the sponge cakes were fluffy and light in flavour. What a perfect way to finish off a meal! Before dessert arrived, we were taken on a small tour around the wine library at Bracu, courtesy of the manager, Michael. The room oozed elegance. 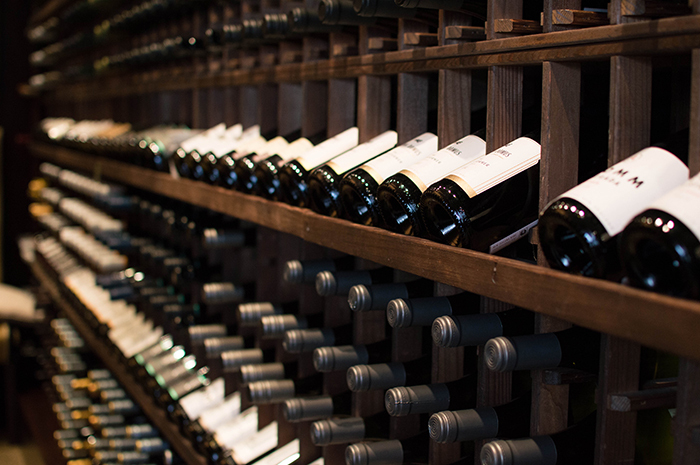 Shelving went around the entire perimeter of the room, and housed numerous bottles of wine. An elegant table set with chairs took up space in the middle of the room. 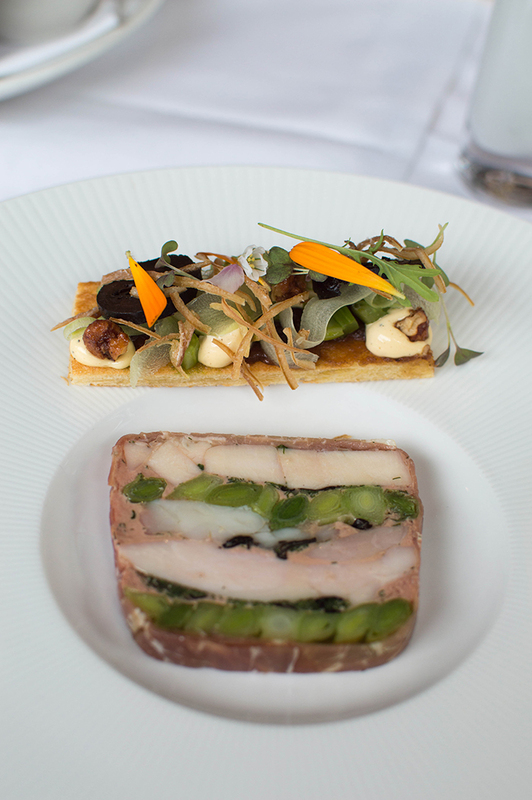 Guests who wish to indulge in an amazingly crafted degustation, complete with wine pairings from the room itself, are able to book the room for a private and prestigious meal. After our meal, Steve led us around a tour of the Olive Estate. 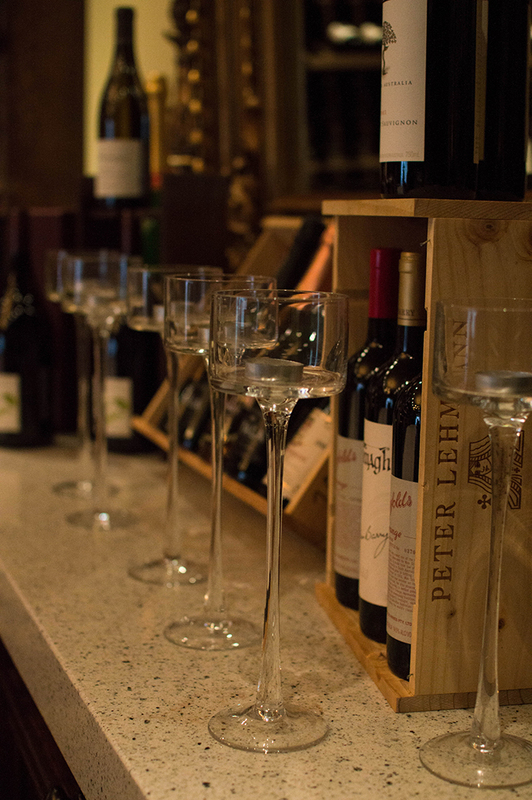 The estate is approximately 120 acres, and home to many olive trees. 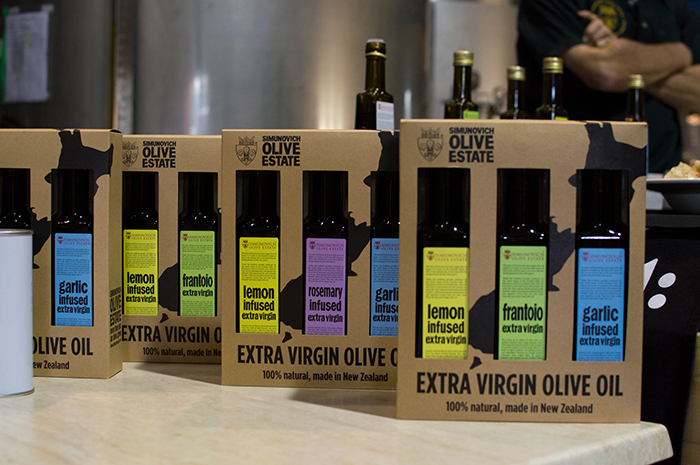 They aim to get about 14 kgs of olives from each tree, but whether they do depends on the climate. Tractors are used for harvesting olives, and the particular tractor we were shown had a large claw used to shake the trees! About 300 trees get harvested per day with the tractors. Working on the estate definitely means long hours, but Steve talked about his job with nothing but passion. We were also shown how olive oil is made on the estate, and were taken into the factory where all the magic happens. 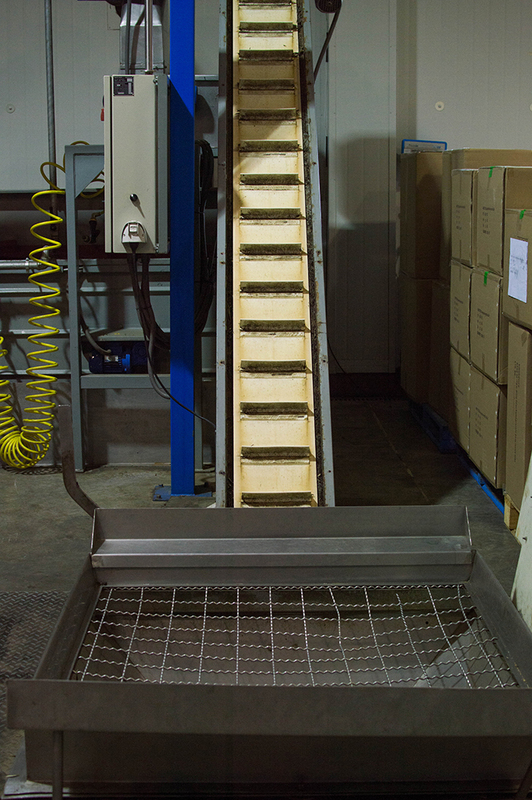 Machinery is firstly used to harvest the olives, and then many steps follow in the process of making olive oil. 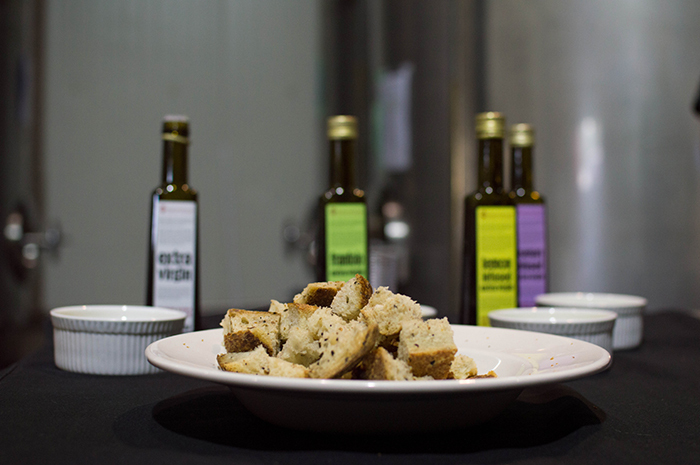 Already bursting with food, we were then treated to an olive oil tasting with bread. 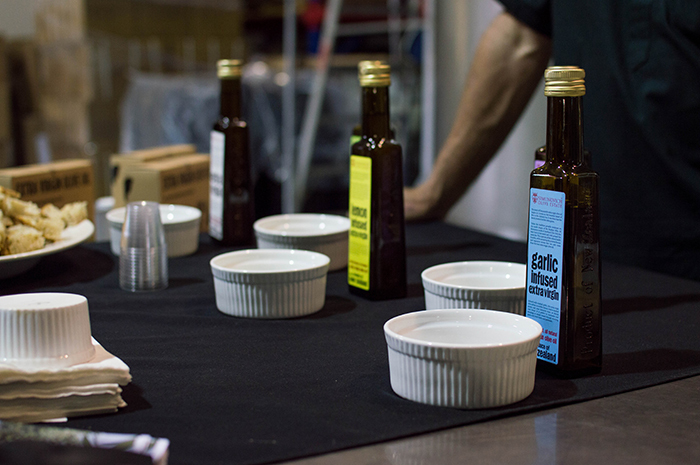 We got to try five different flavours of olive oil made in the estate. I could eat bread for the rest of my life and never get sick of it. Mmmm. 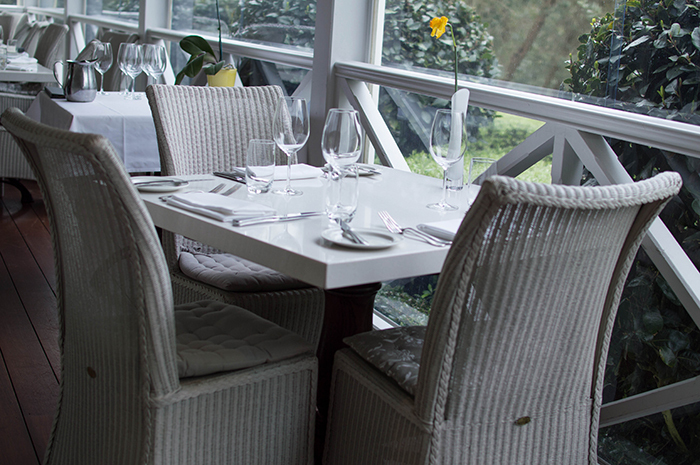 Coming here in the summer would not only be a glorious dining experience, but nature enthusiasts would be in heaven. Imagine strolling through a countryside dotted with olive trees, on a beautiful sunny day. That's the Simunovich Olive Estate for you. They also offer various activities to cater to different needs: clay bird shooting, knife throwing, archery and pistol shooting. All of which would be perfect for a work function or a little get together for a group of friends. For all you foodies, think glorious food with ingredients sourced from the estate itself, paired with a glass of wine on a beautiful day. There seriously could be nothing better. 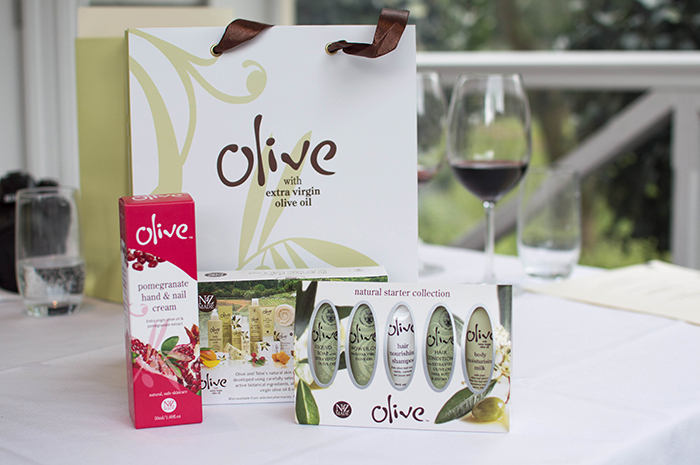 Not only were we treated to the most amazing meal and a tour of the estate, we were also given some of their olive oil skincare products! I am dying to smell the pomegranate hand and nail cream and try out the rest of the skincare products! Literally the most perfect Friday afternoon anyone could ask for. Thank you to Mikey and the staff at Bracu for a great afternoon filled with amazing food! I am already planning my next visit!